When you need to add text to your photos, you can take advantage of this Photo Editor tool. This guide will show you in detail. 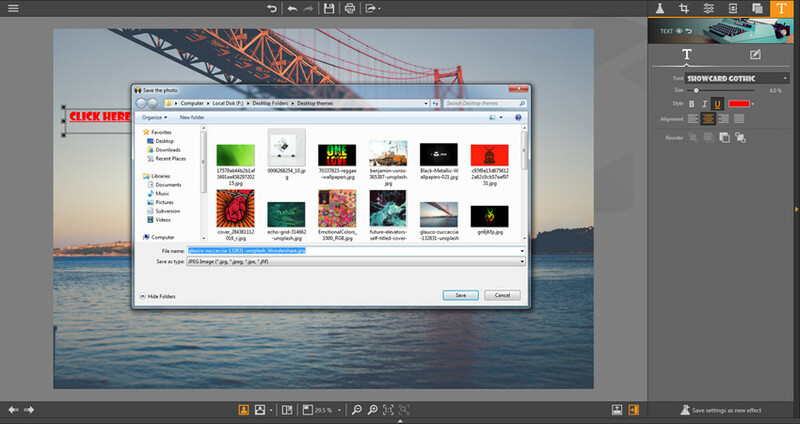 Start Fotophire Editing Toolkit and start Photo Editor. 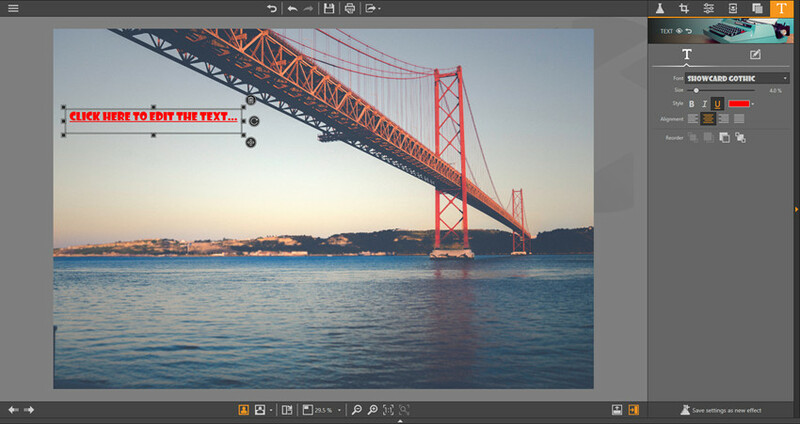 Now add photos from your computer and click the Text icon to enter the Text panel. Hold the left key of your mouse, and create a column to enter the texts. You can drag the column to anywhere you want, and adjust its size by dragging the edge of the column. You can set up the settings for the text to make the texts meets your requirements. Fonts: Select the font for the texts you want. Size: Drag the slider to adjust the size of the font. Style: Select the text style like Bold, Italic and Underline. Font Color: Select a color from the palette, or enter the RGB parameters in Editor tab. Alignment: Choose the alignment of the texts. Reorder: If your texts are covered by the image, you can use this option to reorder the layer of the texts. When you’re satisfied with the changes you’ve made, you can click the Save button at the top middle of the main interface to save the photos on computer.